Amid recent escalation, terror group releases new video threatening Israel. "With your aggressiveness, you'll never leave the bomb shelters," proclaims a new video released by the Hamas terror group on Friday. The warning was accompanied by scenes of Hamas terrorists readying missiles for launch into Israel. Hamas had released a similar clip on Thursday urging Israel in both Hebrew and Arabic that "we recommend that you read us correctly- mistakes will not make things better". The video comes amidst a renewed round of saber-rattling between Israel and Hamas, after two rockets fired from Gaza destroyed a house in Beer Sheva on Tuesday evening. Another rocket, launched towards the sea, fell off the coast of Gush Dan. On Saturday, Israeli fighter jets attacked a squad of Gazans that were launching incendiary balloons into Israel. There were no reported injuries, and the IDF Spokesperson's Unit blamed the balloon squad for causing two blazes in southern Israel. Some 10,000 Arabs also took part in violent riots along the Gaza border fence on Friday. 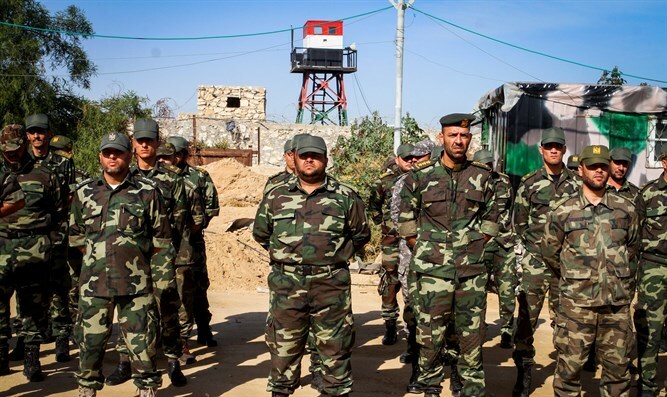 Unlike previous riots, however, most of the participants remained in Gazan territory and did not try to reach the fence, said the statement, adding that Hamas acted with restraint. “There were still several incidents of explosive devices, grenades, crossover attempts and various terrorist attempts. IDF forces acted to thwart them," said the IDF Spokesperson.